Garlic, or Allium sativum, is an herb used in cooking throughout the world. According to the “Encyclopedia of Natural Medicine,” garlic has many applications beyond cooking, including many health benefits. However, some people do not like to consume garlic in its natural form due to its taste and its association with bad breath. You can, therefore, also purchase garlic in supplement form and receive the herb’s health benefits by taking these gelcaps or capsule supplements. Daily garlic supplements, by design, offer you the health benefits of garlic. Not all garlic supplements are the same, however. Garlic tablets not coated properly will have the same bad breath effect as eating raw garlic. You should purchase a daily garlic supplement that is enteric coated. Enteric-coated supplements bypass the stomach and go directly to your small intestine before dissolving. Enteric coated garlic supplements provide all the benefits of garlic without the associated bad breath. According to the University of Maryland Medical Center, the recommended dose of garlic in supplement form is 200 mg taken three times per day. You can also use fresh garlic as a health supplement by consuming 2 to 4 g of fresh, minced garlic per day. There is no established recommended dose of garlic for children. If want to give your children garlic supplements, consult a physician. As with any health supplement, should you develop any adverse reaction to the garlic or garlic supplement, immediately discontinue use and seek medical attention. According to the “Encyclopedia of Natural Medicine,” you can obtain the benefits of fresh garlic from daily supplements so long as the supplement contains the necessary amount of allicin in the pills. Allicin is the primary biologically active component in garlic. The benefit of garlic in supplement form is that supplements provide a higher concentration of the garlic without having to consume large numbers of garlic cloves. For example, it would take at least 4 cloves of garlic a day to equal two or four pills of a daily garlic supplement. It is also more difficult with fresh garlic to find the correct daily dosage due to size variations of the garlic cloves. Garlic has many purported benefits. 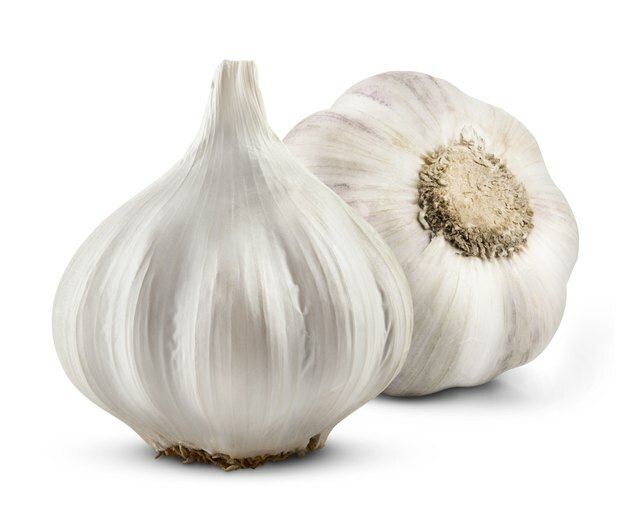 According to the Sloan-Kettering Memorial Cancer Center, the health benefits of garlic include cancer prevention and treatment, prevention of high cholesterol, hypertension, microbial infection, skin infections and atherosclerosis. Taking garlic can interact with some medications such as protease inhibitors, blood thinning medications and antiplatelet medications. If you are taking any of these medications, ask your doctor before you take any garlic supplements.